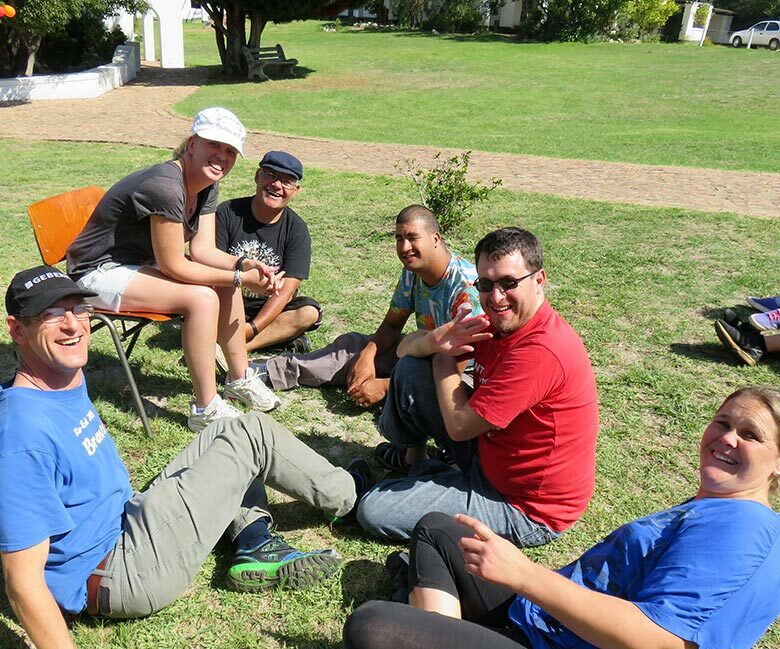 Since 1978, Camphill Farm Community Hermanus has been providing managed shelter and support to adults with intellectual disabilities in order for them to experience a better quality of life, together with meaningful work. Every person, however complex their individual needs may be, is valued as a unique being, who takes responsibility for his or her own life. Our group homes operate as family units where the residents live in an inclusive manner as equals, together with support staff and volunteers. The rhythms of daily living are experienced together, including nutritious meals and helping with chores to the extent of their abilities. Each resident works in a formal work-setting with defined working hours. On weekdays everyone goes off to their place of work, returning for lunch and a rest hour. Through their work the residents develop technical and social skills, as well as providing a sense of self-worth by taking part in meaningful and productive work. Some of the residents are supported to work in Hermanus on a part-time basis. The residents also enjoy a rich and varied cultural life. In the evenings and on weekends various social and cultural opportunities are on offer, from exercise groups to orchestral practice, group outings and participation in seasonal festivals. Camphill is also a Community Farm, providing basic foodstuffs to the Community, including a variety of milk products, vegetables, herbs, eggs and meat when available.